I was using Firefox without any problems until last week, then whenever I try to run firefox the process just runs on the back, however the window is never created. the same thing happens with chromium. only Vivaldi and Opera work fine. when I open gnome with X11 Firefox and chromium work fine. what graphiccard/chip you are using and what drivers? Until this issue wayland had been working fine, I always assumed that Wayland was ready for use. It is probably not so important whether Wayland works good or bad. What is its practical usefullness right now? Other hundreds, thousands applications - everything - are developed for Xorg. They are called X clients. None of X clients runs on pure Wayland. To run an X client on Wayland, an additional intermediate layer must be installed. It is given by the xorg-server-xwayland package. It translates Xorg language to Wayland. It makes an X client, started on Wayland session, to believe that it runs on Xorg session. None of X programs works on Wayland without xorg-server-xwayland. It would be more logic to run an X program directly on X, wouldn’t it? Do you have anything valid to add to this conversation? such as: do you know why Chromium and Firefox do not work anymore? Your personal opinions about the usefulness of wayland, as interesting as they might seem to you, are not relevant to me (because those considerations do not solve the problem). The Gnome team seemed to be committed to the idea of selling wayland as the new replacement for X11, that is why I started to use it. Also, with my current hardware, X11 is not working very well either (it is rather slow when handling videos even when using H.264 instead of the VP8) even when I was using XFCE instead of Gnome. But when I tried wayland with Gnome it felt faster than X11, everything else worked fine (Livreoffice, totem, Skype, Gimp, inkscape, gparted, geany, etc…) and the videos played fine, so I stick with it. Currently I open the Gnome account with X11, but I do not appreciate X11 sluggishness. Do you have anything valid to add to this conversation?.. Your personal opinions … are not relevant to me (because those considerations do not solve the problem). And what is the way you are installing driver for graphics? I did not had to install any particular drivers or anything, I made this installation a few months ago, I don’t remember the details, but I know I installed antergos only with the command line, then I installed (with sudo pacman -S …) the xorg, gdm, xfce, etc… only later I installed Gnome and then wayland. I cannot make any sense of what the problem is only looking at the output of the logs. But Firefox seems to be using Chromium engine now instead of Gecko. dez 26 14:33:21 pedro systemd: Started GNOME Terminal Server. I have a problem with timestamps, but that is all. Do you use Antergos-Live-ISO for installation? do you choose “base” system inside cnchi, and then install Gnome e.t.c. later by hand? Do you try to runn both Browsers out of terminal by command too? Guys, try to use slightly modified command, suggested by @joekamprad. It’s a kind of “live debugging”. The command will immediately jump to the end of the journal, and will always stay there. All system messages will be added to the end of the journal, and will be immediately visible here. Do not touch anything in this terminal. Simply observe the content. It doesn’t change, when the system is idle. New lines appear, when some program(s) run. 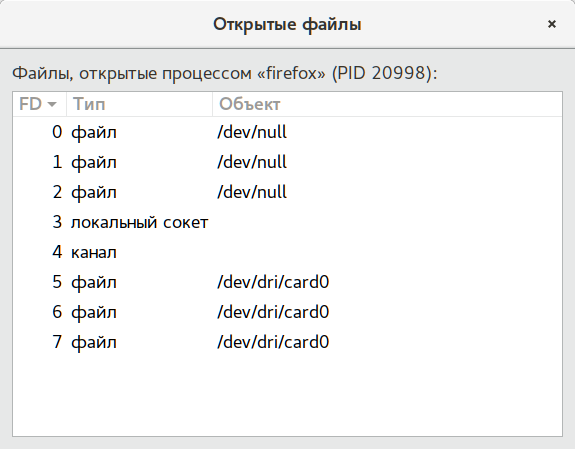 In the 2nd terminal start Firefox or Chromium. All messages, generated by the browsers, will be immediately added to the end of the journal and visible in the 1st terminal. Eventually, it will be possible to spot an error message in the 1st terminal, and figure out what is happening. yes, that is exactly what I meant, I wanted to try several different desktop environments, some of them are not listed by default, so installing the “base” iso was simpler. yes the result in the logs was the same and the terminal where I ran the firefox command did not returned anything, nor it opens the window, it just hangs in there. dez 26 16:00:01 pedro chromium.desktop: [3233:3233:1226/160001.989528:ERROR:sandbox_linux.cc(351)] InitializeSandbox() called with multiple threads in process gpu-process. when I try @just method “sudo journalctl -ef” nothing is detected by the journalctl when I run firefox. dez 26 16:22:43 pedro gnome-system-mo: Allocating size to gnome-system-monitor 0x55a12b67a2b0 without calling gtk_widget_get_preferred_width/height(). How does the code know the size to allocate? The Firefox code or the GTK lib code that governs the size of the window must have changed since the update and now has some issue with the size of the window. I have the same problem. I noticed that when I run firefox. There are two processes in the system monitor, not one. When I kill a process that consumes less memory, firefox is started. List of files that this process opens in the picture below. I use wayland because there is no tearing as in xorg. I installed antergos from live cd, perhaps a year ago, by selecting the standard desktop environment. Thank you for the information, when I kill the smaller Firefox process the window opens, just like you said. This solution does “go around” the problem for Firefox, but not for Chromium. Could you please try Chromium just to see if that “Picasso Canvas” problem is happening just to me or is it wayland’s fault. You are having the same problem as me, initially I was not being able to see the Chromium window, but then the window started to show up and the graphics were all messed up inside the window (the “Picasso Canvas” problem), I was afraid that this issue was related to my hardware and to my drivers, but clearly this is a problem that is related to Wayland independently of the hardware. This same problem is also happening in Manjaro and Arch installations, not just Antergo’s installation. This is a different problem from Firefox. Anyway, for now I think that the only “solution” would be to reverse Wayland to a previous version, a version released before the 22 of December (I think that was the time the problem started, there was some update around that time).